Nagarro at the CIOmove 2017, a unique global IT event that brings together CIOs and IT decision makers from around the globe. Madrid, 5 May 2017: For a second year in a row, Nagarro participated in one of the most admired CIO events in the world called CIOmove. This is a unique global event that brings together IT decision makers from different parts of the world for a few days of stimulating conversation while traveling through a number of cities together. 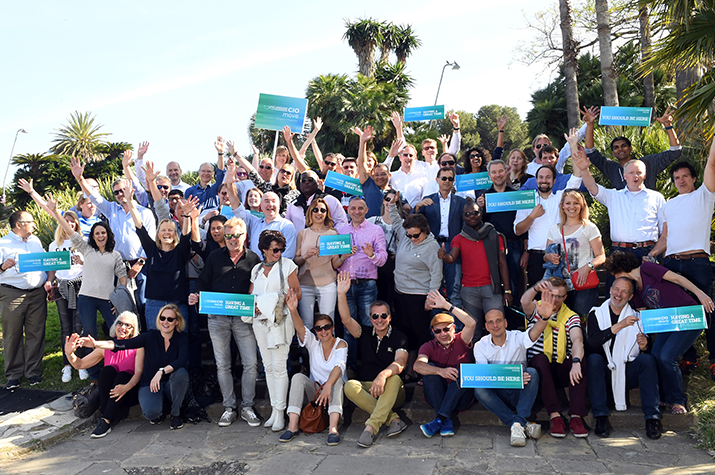 The four-day event was held from May 5-9, 2017 in Madrid, Barcelona. This year saw several IT leaders and CIOs of blue-chip companies from Europe including Lufthansa, ABB, Airbus, DHL, MunichRe attend the event. They discussed what has been keeping them busy these days and also shared how they are transforming their businesses through IT to overcome the challenges they are facing today. From Nagarro, Vaibhav Gadodia (Vice President, Technology) and Balkrishna Dubey (Director, Sales) attended the event. 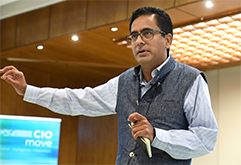 Dr. Manas Fuloria, CEO Nagarro also addressed the CIO group in Madrid and spoke about how speed, agility and innovation can bring the desired business outcomes. He also elaborated on Nagarro's role in helping clients meet today’s business challenges and thrive in their respective domains. The participants also got an opportunity to interact and debate with academia, such as Professor Dr. Arthur M Langer, Columbia University and Professor Helmut Krcmar, TU Munich among others who brought a different perspective to the conversation through their understanding of the role of technology and innovation to meet the future challenges of the world. "Business is all about relationships. Build a lasting relationship with your business partners and everything will fall into place", says Balkrishna Dubey who attended this year's event. He believes that the CIOmove fits one of Nagarro's core philosophies of building long-lasting relationships with clients, understanding the people behind different businesses and creating a deep impact by cooperating with them.